We supply turbos from the following list of manufacturers. Click on each heading below to find out more about each company. If you have a question get in touch with us to discuss things further on 02827 666660 or request a call back from our contact page. We stock and supply the Holset Turbo Charger range which is perfect for any Cummins engine of 5.9 & 6.7 litre capacity which offers efficiency for long haul vehicles. 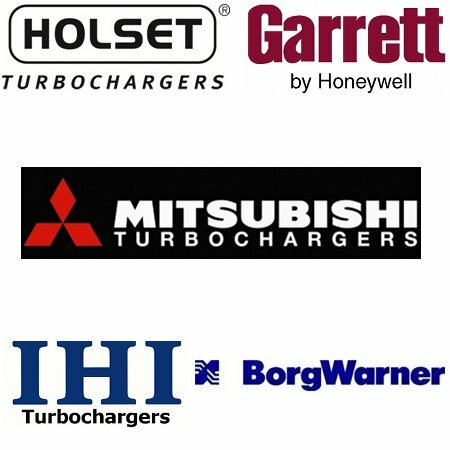 We are Northern Ireland’s only official Garrett by Honeywell turbo charger supplier. Garrett turbo chargers are available for the smallest micro car right up to the biggest truck. The Garrett by Honeywell turbo charger range will boast performance in any vehicle diesel or petrol. The range of Mitsubishi turbo chargers that we supply are high quality, high tec, compact and lightweight and perfect for light commercial vehicles and passenger cars. We supply the IHI variety of turbochargers which are simply perfect for compact vehicles and motorcycles to full sized marine diesel engines. The IHI turbo chargers offer first rate performance, are reliable and offer a long service life. The Borgwarner Turbo systems are perfect for passenger cars, light trucks & commercial vehicles as they enhance fuel efficiency along with reducing carbon emissions while at the same time enhancing the vehicle performance.